gDecide is the social decision making site built on the idea that asking the people you care about and whose opinion matters to you will lead you to better decision. 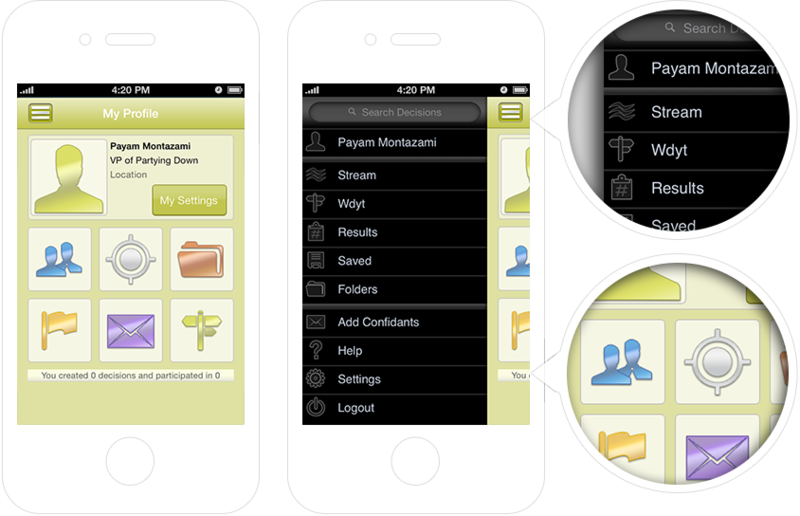 PM Creative Studio was in charge of the gDecide iOS User Interface and User Experience Design for both the iPhone and iPad. All content and images on this web site are © PM Creative Studio 2015 and are not to be used in any way without expressed written consent.